Your New Yorker Magazine: Fresh off the Farm in Boone Iowa? Claire, an ex-pat Montanan, ardent Progressive and former jeweler, rants for fun and profit. For years, I’ve been ripping up unwanted solicitations from what used to be my favorite magazine. 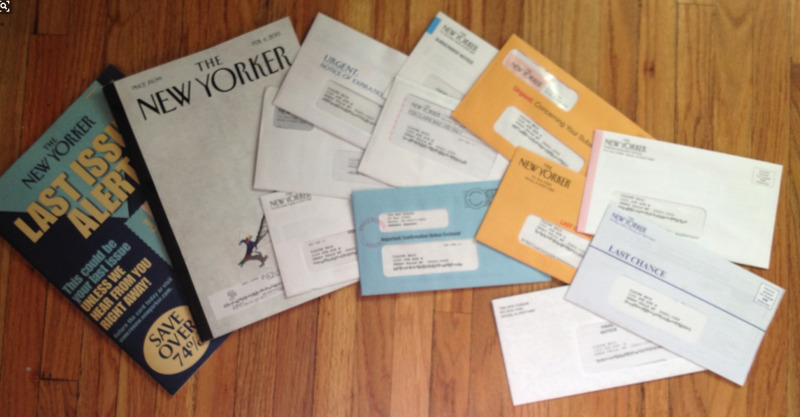 There was a time when The New Yorker piled up at my bedside faster than I could read it down: I’d scan reviews of exhibits long closed, jazz fests that would have to wait until "next year," limited runs that expired before I felt a pang to see the play. The magazine was never satisfied with my affection—or my subscription. I know this because, two years in to my three-year gift subscription, The New Yorker started toying with me. When my first renewal notice came, it tarnished the joy of the gift. I felt even more jilted when I read the return address: Boone, Iowa. Remember that ad with a cowhand poking at a campfire, lamenting the origin of his salsa? Now I understood his pain. 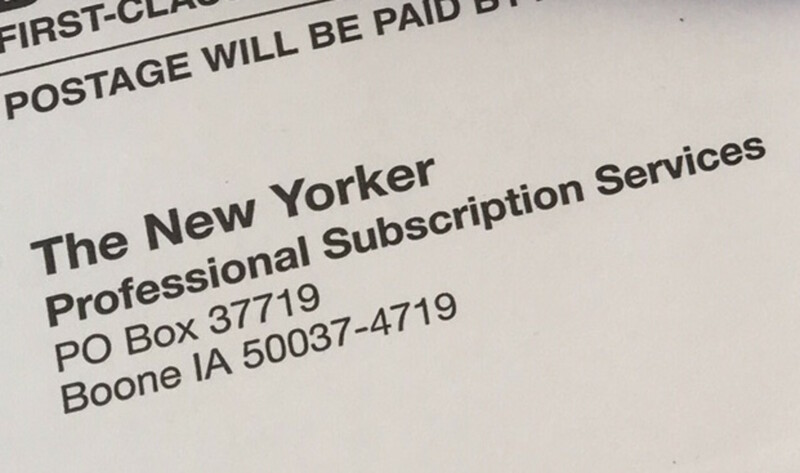 My New Yorker comes from…Iowa? Under the waxy address window, above my name, were three letters and a date: “EXP FEB 13. The most urbane magazine in the nation was trying to lure a subscriber into sending money to Boone, Iowa, with absurd 11-month lead time...It must be a mistake--or a ruse. Within weeks I got another notice, with the same return address. I googlemapped Boone, Iowa. There's no Whole Foods, no opera company, no alternative cinema...WHAT? No Starbucks? What's The New Yorker doing there? Should I cash in some SkyMiles, rent a black SUV and stake out the Boone post office? 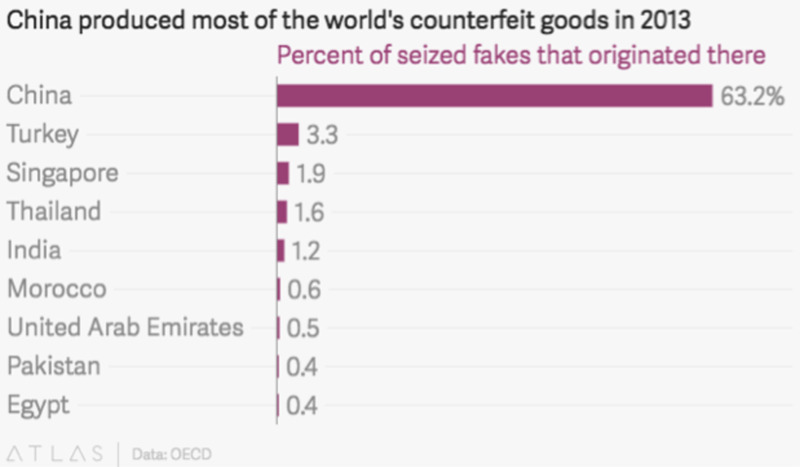 Maybe this whole thing was a scam, a brainchild of those devious chaps over at The Economist. 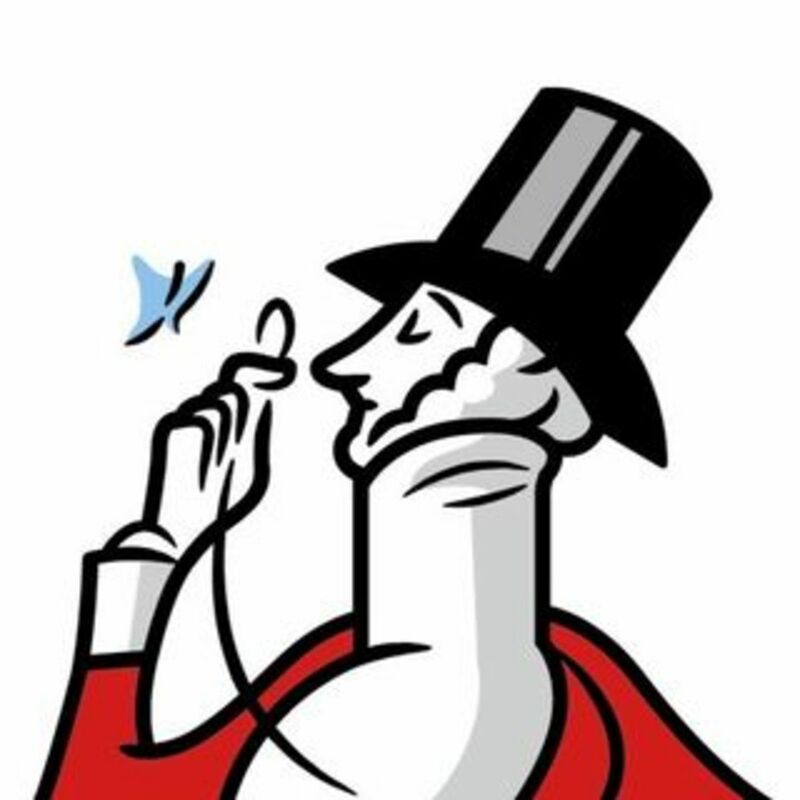 If The New Yorker was really playing "Le Petit Trianon," maybe I'd catch Eustace Tilly’s top-hatted dandy in coveralls, emptying PO Box 37685 of its renewal slips. I'd toss him in the car and drive him back to Manhattan—in that getup, in these here parts, he'd risk a beating. Then again, Boone's post office could be a false front...from the picture on googlemaps, there's no way 37,685 PO boxes would fit in there. A third notice arrived in June, from a nearby PO box. This time it included the word “REMINDER” in all caps, above my address. It was borderline genteel, like the guy at the opera who brandishes his binoculars at your crotch to inform you that you forgot to zip. I was tempted to send a REMINDER that I had NINE MONTHS of New Yorkers left. It rankled me that Condé Nast, the publisher of The New Yorker, wanted me to throw food to their money beast over a thousand miles from where it roared, seven months before mealtime. There's an expression for paying far in advance for goods or services yet to be rendered. 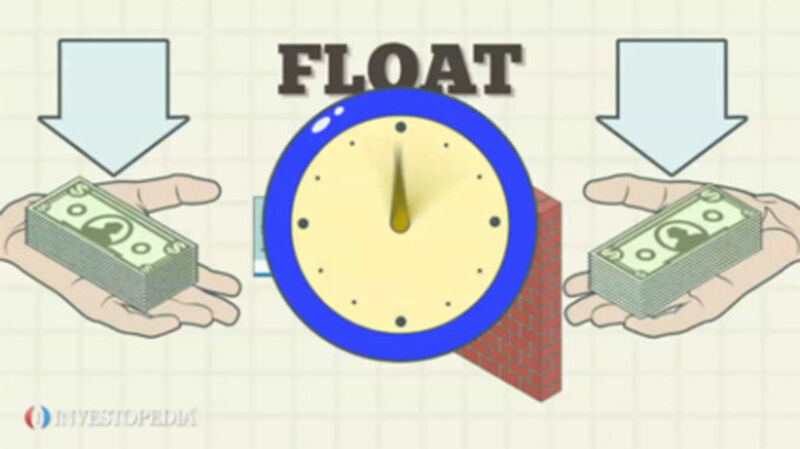 It’s called ‘playing the float.’ Having all that interest-free money benefits the payee and punishes the consumer. Was The New Yorker trying to steal from me? No…this sophisticated magazine would never commit such a lowbrow offense—though there have been legal settlements in the past, slapping the wrists of magazines that ‘short sheeted’ their subscribers. The New Yorker may not be guilty of fraud, but it is unquestionably guilty of greed and negligence. The New Yorker—and many more magazines under publishing giant Conde Nast, contract delivery to your doorstep, using a company called CoMag. CoMag is a subsidiary of The Jim Pattison Group. Via another Pattison subsidiary, The News Group (TNG), Pattison also distributes magazines to newsstands. A lot of magazines. A lot of newsstands. 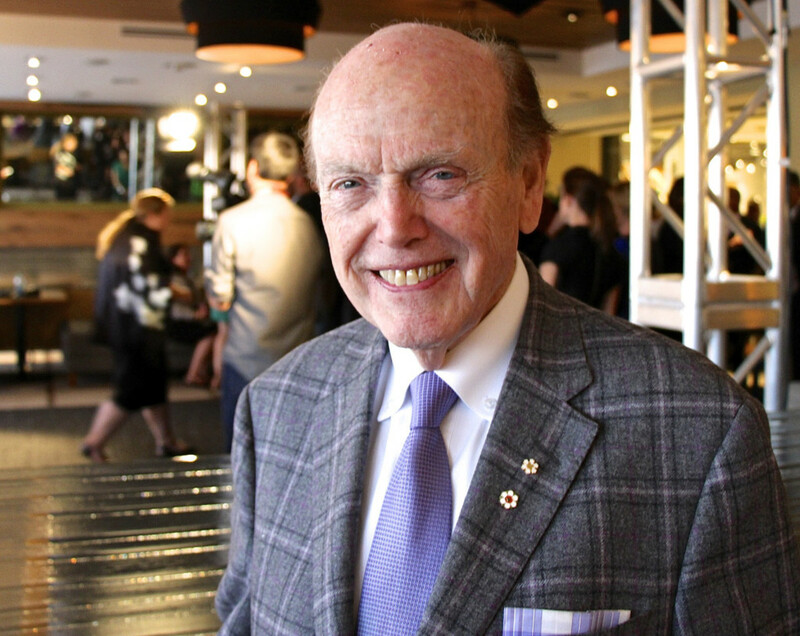 Who is Jim Pattison? He's the same guy who owns Peterbilt Trucks, the Guinness Book of World Records, a few garish sportcoats, and Ripley's (Believe it or Not™). It’s a little weird that a middle-aged Canadian billionaire wields so much power, but it’s downright disturbing that Conde Nast's magazine bitter publishing rival, Hearst, uses THE EXACT SAME DISTRIBUTOR (sorry for yelling, but I’ve lost my patience). 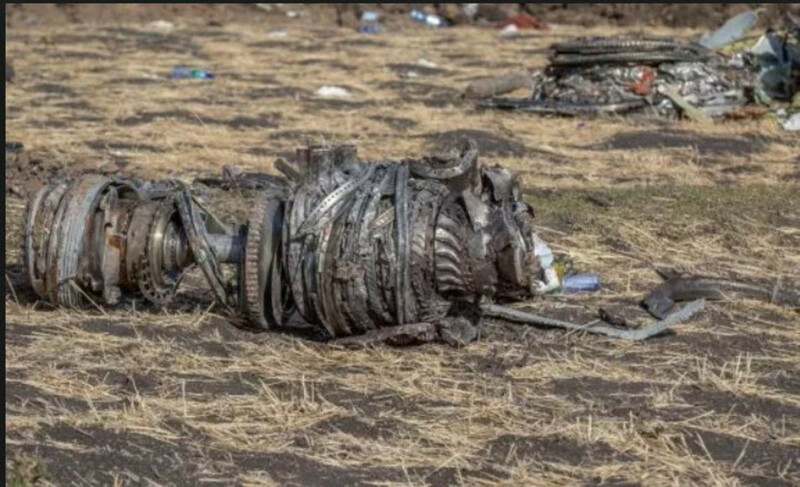 Picture a huge pile of magazines going through a huge steel funnel. 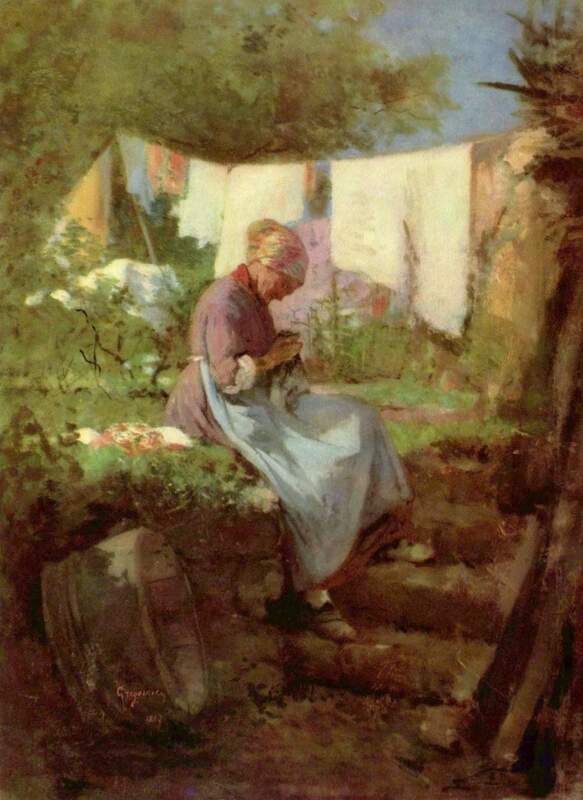 Publishers shove content in the big end and we readers wait at the small end, for words and pictures to pop out. The Jim Pattison Group is consisted of 8 major industry verticals and 24 operating divisions. It's been years since I subscribed to The New Yorker. Sometimes I miss their erudite cartoons, pithy reviews and vetted commentary. I miss being moved by special stories—insights into Abu Ghraib, concussed heads in football games, their 2013 story on Hiroshima, the short story, Brokeback Mountain. I just wish the magazine could have stopped poking at me, and just come, once a week. Fake News? No. False Advertising? Yes. I have proof: The New Yorker lies. Back in 2012, I received at least three envelopes with the words “Last Chance.” (obviously not). Two more read “Final Notice.” (eye roll). White ones, manila ones, blue ones. One came with a Stars & Stripes stamp, emblazoned with a huge militaristic warning: “DEADLINE EXTENDED.” Was it was my patriotic duty to renew? 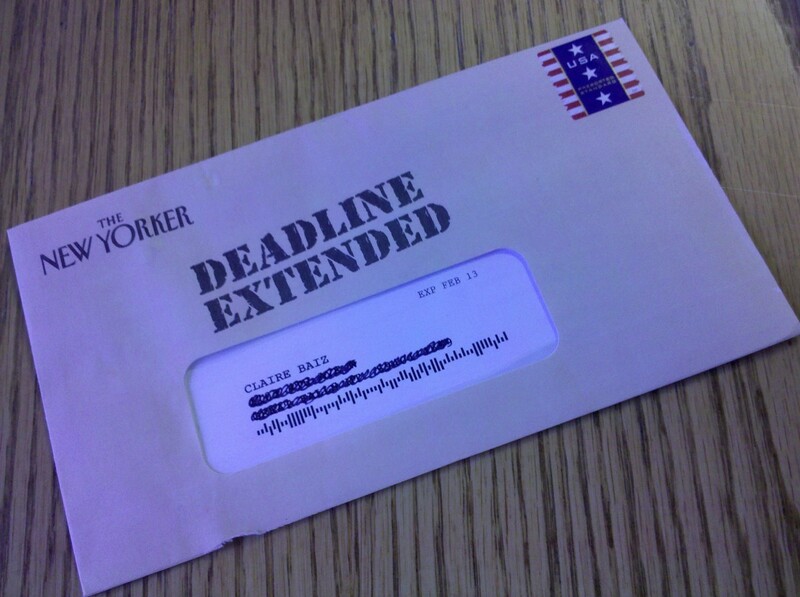 When my subscription was truly about to expire, the tactics shifted: The New Yorker wanted me to think I’d already renewed. I forgot to send in the “Confirmation Notice: Enclosed,” that’s all. Go bite your tail, you slithery Boone, Iowans, ‘cause I ain’t chompin’ on that one. A week after my FINAL ISSUE, I got another New Yorker. This one came with a thick paper overlay: LAST ISSUE ALERT. This time, they meant it. It was, finally, FEB 13. I'm done with The New Yorker. After I read down my stack of back issues, I was not tempted to resubscribe. Once in awhile, I pony up full price at an airport newsstand--and okay, you got me, when walking down eleven flights of my Chelsea pied-à-terre, I have been known to pilfered clean, recent issues from the recycling bin. I thought The New Yorker was done with me, too. Eight months ago,I left Montana for Chicago. Last week, The New Yorker found me. In the past five years, they've become even more devious: instead of promoting Boone, Iowa on their envelopes, The New Yorker boasts the New Yorkiest return address: the World Trade Center. If that subscription solicitation was sent from Ground Zero's zip code, I'll eat my (genuine, made in Montana) cowboy hat. Should you decide to subscribe, put your money in the envelope and send it off to Boone, Iowa. Don’t be surprised when they ask you to renew early…and often.